A little over a week ago I asked my incredible Kiss My Smash readers to choose a project for me. You spoke and I listened. 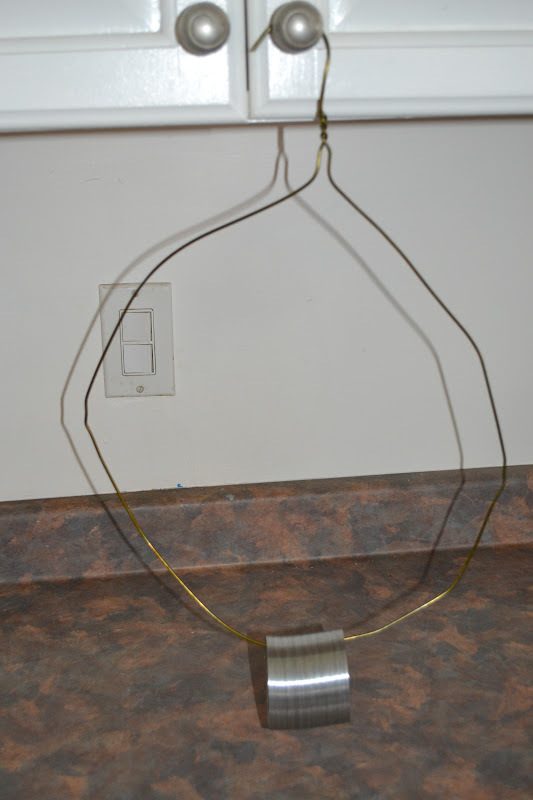 I set to work on building a bird feeder from a wire hanger, slinky and peanuts. This idea has been floating around Pinterest. The first hanger I tried did not quite work out. I began untwisting the hanger from the top down and the wire just snapped off. I must have done it the wrong way, or I must be really strong. I'm going with the former. 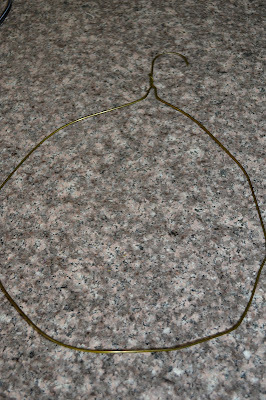 I grabbed another hanger and began forming the circle. I needed a little help from GB on this. See, I told you I wasn't that strong. 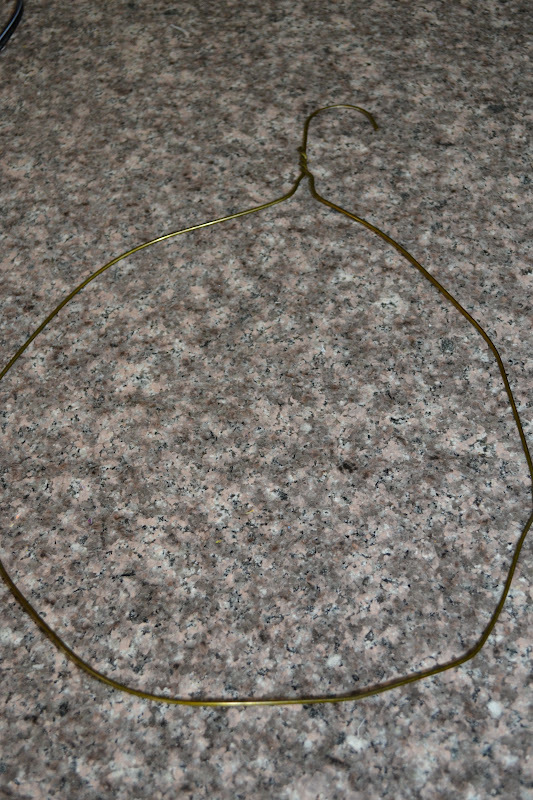 This hanger was particularly hard to bend. Notice the hard angles. I was hoping I could I could unhinge the slinky and wrap it around the hanger. Unfortunately, I was not able to pry it apart. So, slowly but surely, I unwrapped the twisted portion of the hanger. I made sure to twist from the bottom up. I slid the slinky right over the hanger and closed it up again. 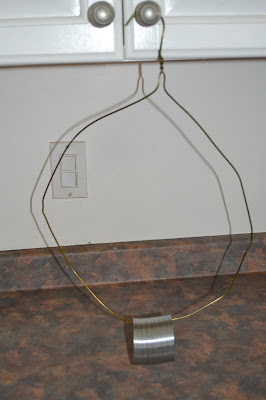 Since there was not a direct tutorial for this craft, I had to find a way to attach the slinky to the hanger. Of course I busted out the hot glue gun. I also glued the slinky in a few other places to make sure it would be secure. I tossed a few peanuts down the opening, hoping they wouldn't tumble out. Carefully, I walked the bird feeder outside and hung it up. A few peanuts fell out along the way, but for the most part it was quite secure. So far - no birds have grabbed a peanut snack yet. But don't worry - if it's a successful feeder I'll let you know right away! I think this guy chasing every animal that wanders in our yard may have something to do with it. Give it a try - this was definitely one of the easiest crafts I've attempted! Let us know about the squirrel update. They are more cunning that you think. Still, I would love to see bird pics too.